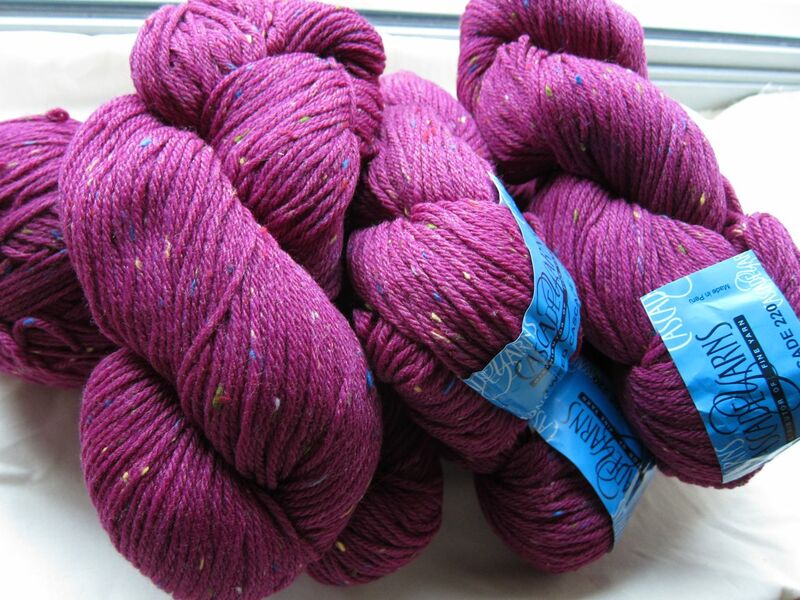 Someone ELSE can knit a fabulous Central Park Hoodie out of these 7 hanks of Cascade 220 Tweed in lovely Magenta... now selling for 99 cents on eBay. My carpal tunneled hands certainly can't! It hurt, but I did it! 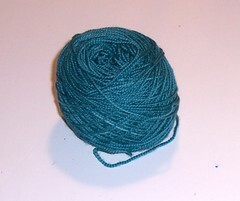 As promised, I instituted a ruthless yarn stash purge, and began listing anything that seemed vaguely salable on Ebay. The proceeds, if any, will offset the cost of the Medela Pump In Style I just bought. Here are the lots I've put up so far, and the dreams delusions that have died with them. Central Park Hoodie dreams. From the moment I saw the Central Park Hoodie on Ravelry, I had to have one. But I can't. Goodbye, tweedy magenta hoodie! 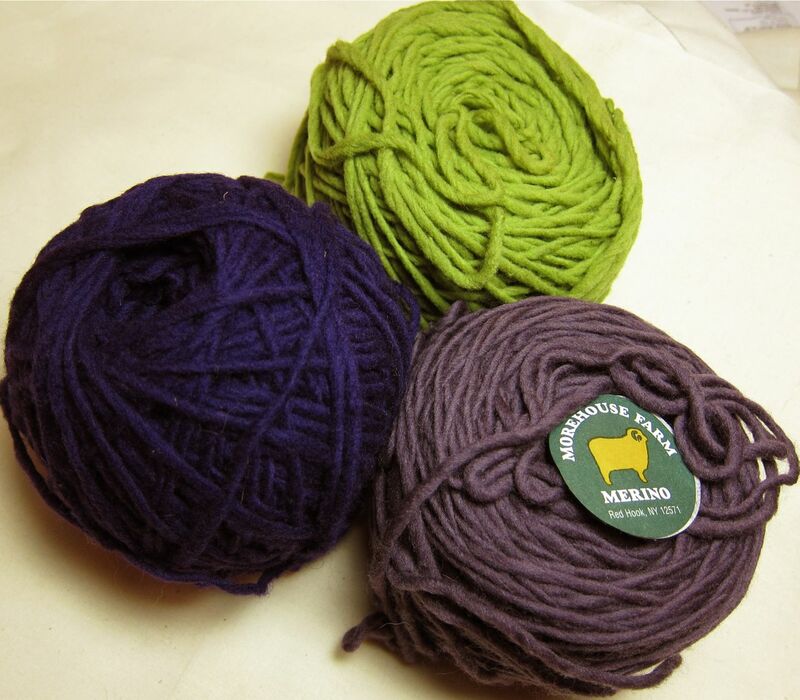 Organic yarn blend dreams. I'll blame Interweave Knits again. 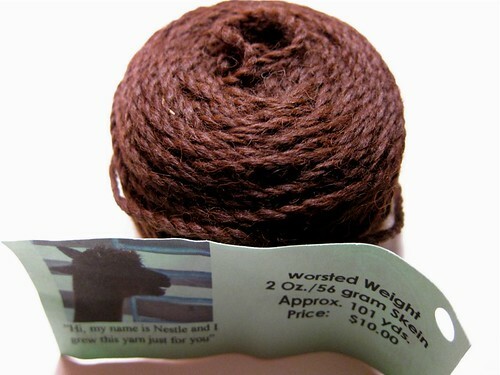 They did a review of organic yarns (Fall 2007?) so I picked up a couple of skeins of Vermont Organic Fiber Company O-Wool Balance. (As of this writing, going for 99 cents on eBay). 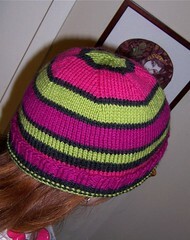 They were going to be a lightweight tweedy striped hat for Masheka. But he only wears black or gray hats. Goodbye manly yet colorful hat! As you might have noticed from my mini-wardrobe contest plans, I love mixing purple and chartreuse. 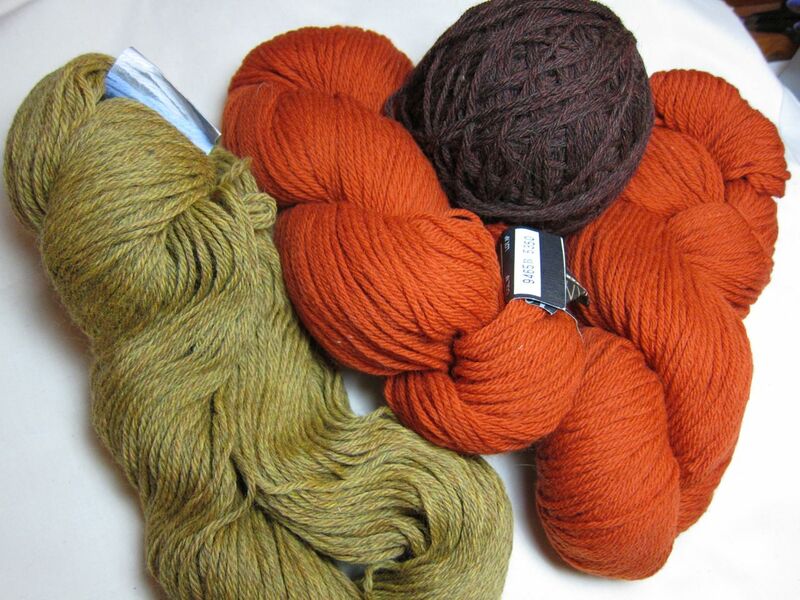 These three skeins of Morehouse Farm Merino (no bids yet!) 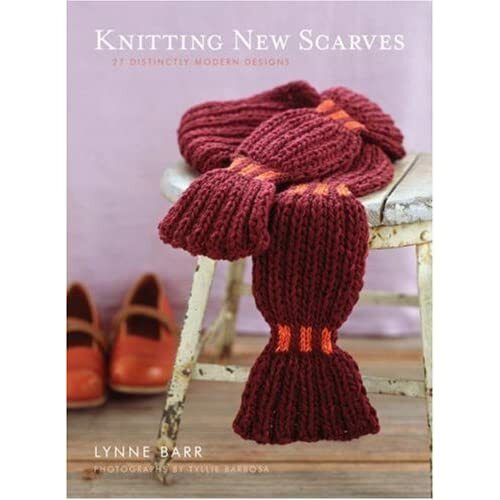 would have made a lovely long modern scarf or two. 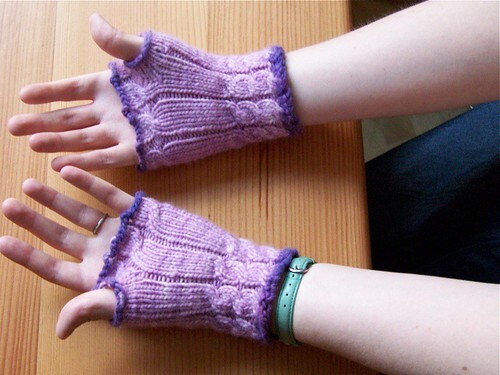 But I can barely knit for myself and Cartoonist Baby, never mind for others. 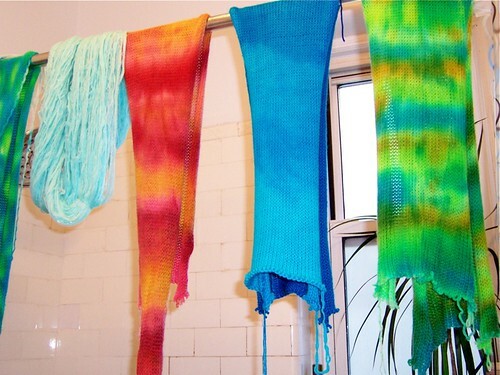 Goodbye scarves! I made some small samples, and had schemes of charting my own patterns after practicing with purchased ones. Oh well! 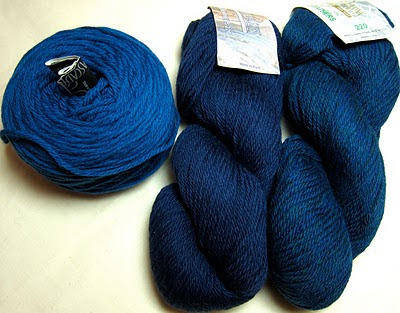 Goodbye Cascade colorwork dreams! They were just leftovers from my Monkey socks. Puff-Sleeved Feminine Cardigan dreams. 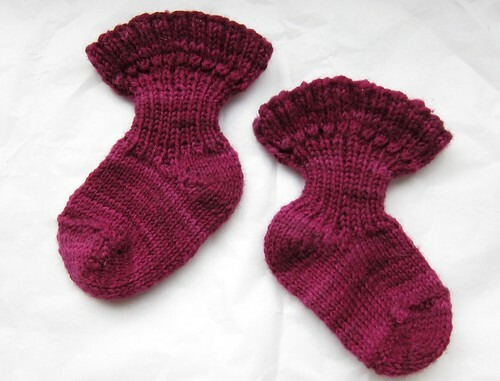 I'm waffling on the bag of eggplant merino I bought to make this lovely pattern by Stephanie Japel from Fitted Knits. 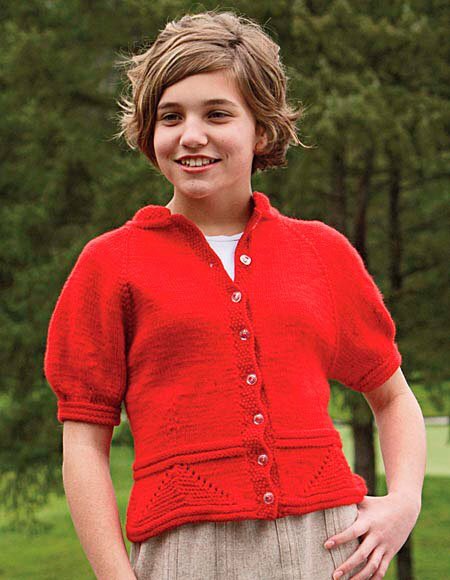 But DK-weight sweaters are not really suited for the glacial knitter, no matter how cute or retro looking. Whew! 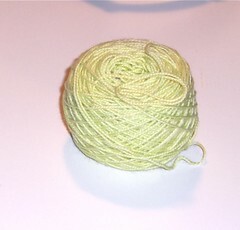 Enough yarn talk for now. I need to stop writing about decluttering and get back to actually doing it! P.S. 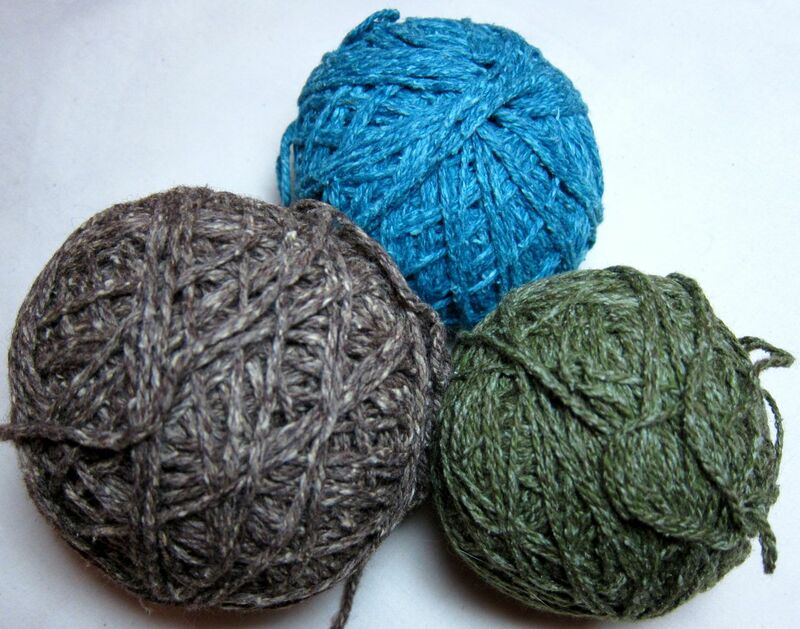 Thanks to all of your for your wonderful suggestions on what to do with our destashed yarn, fabric art supplies and the like! I'll likely donate a bag of random balls or skeins that I'm not selling (and anything that doesn't sell on eBay) to an organization that makes hats and blankets for preemies, as they were asking for yarn on Freecyle and offered to pick up. Which is ideal, since we are carless Brooklynites and I am SO pregnant and Cartoonist Baby will be here SO soon! This is cruel and unusual punishment. 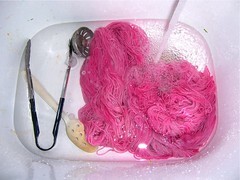 I want, not need, all of this yarn. I live in bloody Tucson. I really don't need yet more yarn and yet you tempt me like this. You should be ashamed :) Best for the impending arrival. 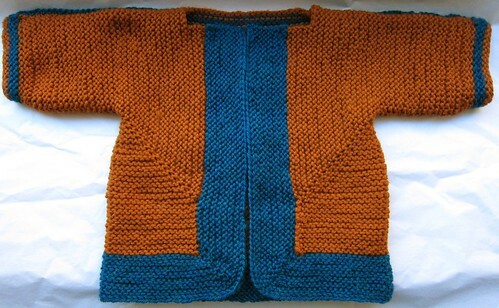 If I had stash like yours I would be more inclined to learn how to knit. 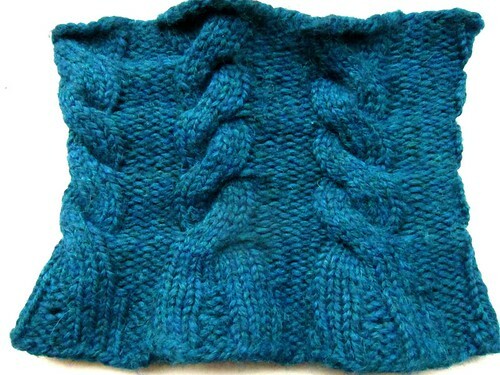 Sewing's been easy, it's knitting that drives me up the wall. lol. 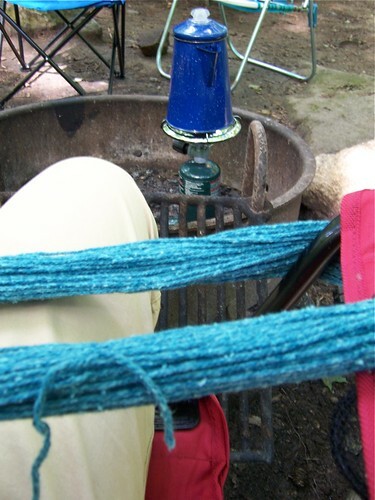 How did you learn to knit (or stay learning to knit? :D) Love your blog! 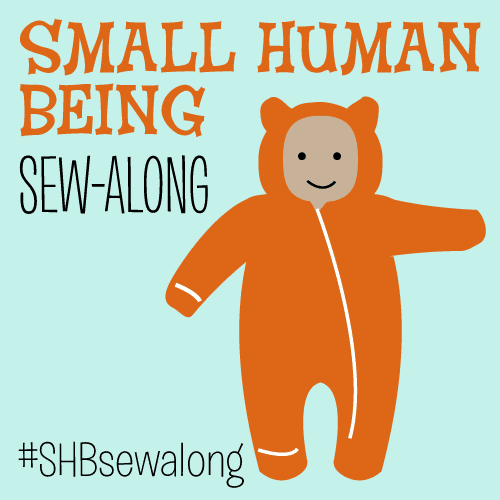 I have also been wanting to email you regarding a couple easy sewing questions! I will do that soon!